Do you believe you or a loved one fell victim to a surgical error? It’s important to talk to an experienced attorney as soon as possible. All surgeries are considered major, whether a patient is undergoing an appendectomy or a gastric bypass. Patients and their loved ones trust the surgeons and medical professionals in charge of their care to adhere to a certain standard of care to ensure the patient’s safety. Unfortunately, surgical errors occur in hospitals throughout Maryland every year. 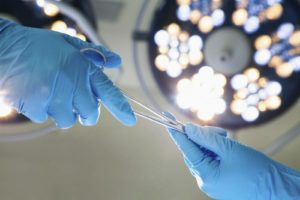 In some cases, surgical errors are considered medical malpractice. Lack of sufficient training. A surgeon may lack the skills to perform a certain surgery successfully, and an error occurs as a result. Lack of planning. Surgeons and medical professionals on staff need to be well-prepared for surgery, including previewing likely complications. If the surgeon or staff fail to perform their due diligence, errors can occur. Lack of communication. When a surgeon fails to communicate with a member of their staff and the patient suffers as a result, this could be considered medical malpractice. Physical exhaustion. Medical professionals are required to work long shifts, yet still expected to perform efficiently. Drug/Alcohol Use. The life of a medical professional or surgeon can be stressful, and some turn to drug or alcohol use to cope. If an error occurs due to a surgeon’s drug or alcohol use, you may have a medical malpractice case. Common types of surgical errors include but are not limited to injuring a nerve during surgery, administering too much medication or anesthesia, performing an incorrect incision, operating on the wrong part of the body, and leaving a piece of surgical equipment inside of a patient.